Last month, DC Mayor Muriel Bowser cut the ribbon on eight new Capital Bikeshare stations in Wards 7 and 8 in Washington, D.C. The ribbon cutting, which took place on Capital Bikeshare’s seventh anniversary, was led by the DC Department of Transportation (DDOT) and was attended by both the Mayor and the interim Director of DDOT. 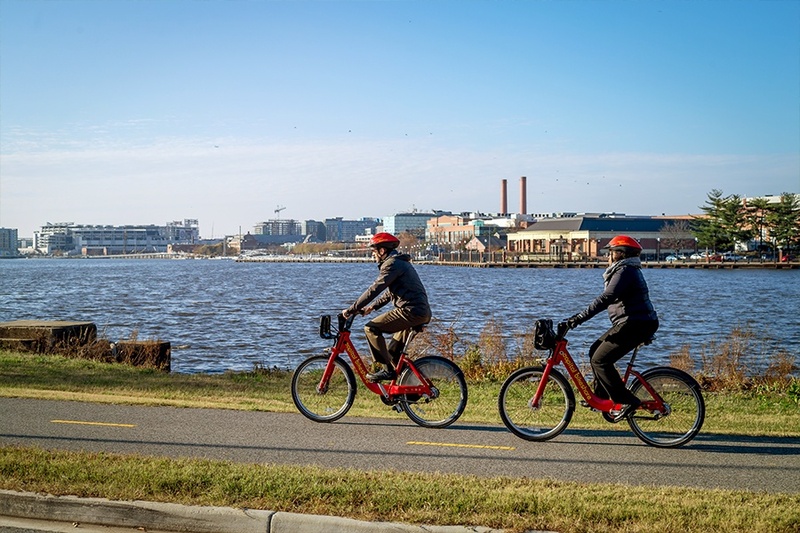 This expansion increases the number of bike stations east of the Anacostia River by 25 percent and includes new bike stations at recreational centers, educational facilities, shopping centers, trails, and public transit facilities. These new, thoughtfully placed stations involved a great deal of community engagement to ensure installation would most effectively increase access to low-cost, active transportation and recreational opportunities. This year, the Bowser Administration extended Washington, DC’s growing bike network by adding six miles of bike lanes, including two protected lanes. With Capital Bikeshare playing a key role, the District currently boasts 145-miles of bike lanes and trail networks. Capital Bikeshare is operated in coordination with Arlington and Fairfax counties in Virginia, and Montgomery County, Maryland. The system includes more than 480 self-service stations where riders can checkout and return bikes for fares starting at $2 for a 30-minute ride. For more information or to sign up for a membership, click here.